‘The Collective Power of Rhythm’ and ‘American Sutra’ both feature intimate discussions regarding race and social issues. The New England JACL co-sponsored recently two Day of Remembrance events, “The Collective Power of Rhythm: Rebuilding the Japanese American Identity” and “American Sutra: Buddhism and the Incarceration of Japanese Americans During WWII,” on the campus of Harvard University in Cambridge, Mass. The program was created and organized by JACL Alaska chapter member Erika Ninoyu, a graduate student at Harvard’s Graduate School of Education. 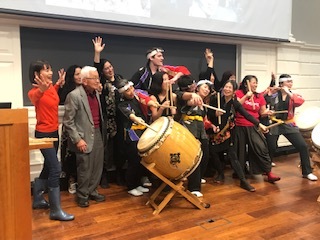 It featured JACL member Dr. Yutaka Kobayashi, 94, who shared his experience of being incarcerated as an 18-year-old during WWII; Kanoko Kamata from the Harvard Weatherhead Center on Social Movements; Karen Young of the Genki Spark; and taiko performances by the Genki Spark and Odaiko New England. 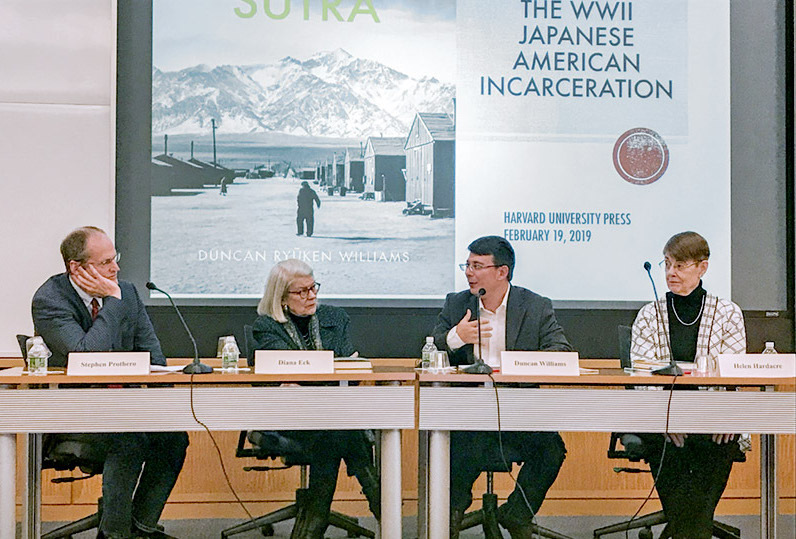 And on Feb. 22, the New England chapter co-sponsored, along with Harvard’s Reischauer Institute of Japanese Studies, “American Sutra: Buddhism and the Incarceration of Japanese Americans During WWII” at the university’s Belfer Case Study Room. During the discussion, Duncan Ryuken Williams, professor of religion and East Asian languages and cultures at the University of Southern California, discussed his new book “American Sutra: A Story of Faith and Freedom During the Second World War” (Harvard University Press, February 2019).